To many people, roofing means protection from heat, water, snow, sleet, and hail for your family home and your belongings. Roofing is something we often take for granted when our roofing systems are working properly. However, comfort turns to worry when our roofing systems fail and we suffer the damage of leaks, water damage, fallen trees, fire damage, or regular deterioration. We perform roofing repair, gutter work and more in the Sonoma County area: Sebastopol, Santa Rosa, Petaluma, Rohnert Park, Windsor. We use industry leading roofing materials. We have a range of services that include roofing, gutters, leaf protection systems, gutter repairs, roof repair contracts, inspections, skylights, solar tubes, attic insulation, attic vents, and solar attic fans. We are the only local roofing company that manufactures its own gutters. We love the small roofing jobs as well as the larger roofing projects. 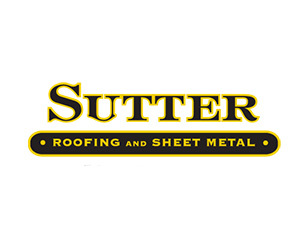 If you would like to see what makes our roofing company special, contact Sutter Roofing and Sheet Metal today at 707-829-5050 or online. You’ll be glad you did!